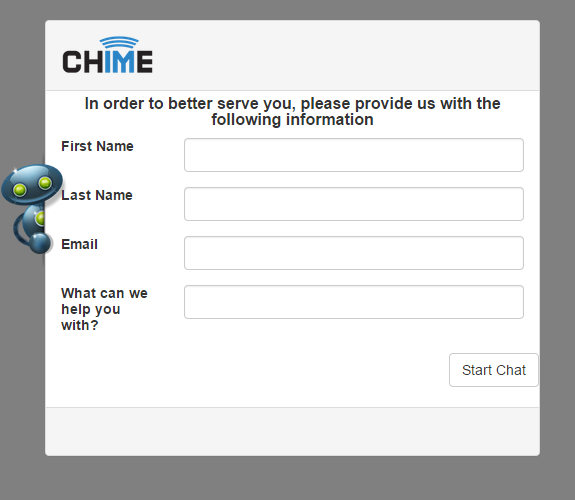 ChimeHub also allows you to query the service to see if the desired Queue is currently available, which allows you to conditionally show or hide your click-to-chat buttons. 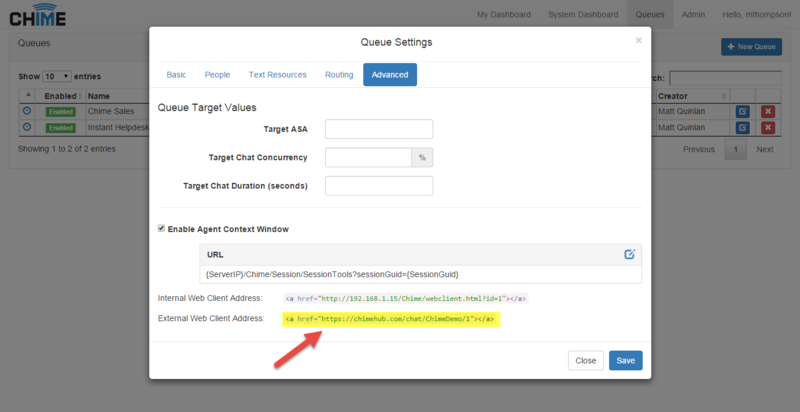 Make an AJAX POST to https://chimehub.com/Webclient/isQueueAvailable with the parameters engineID and queueID. The service should response with a boolean, and you can then conditionally show or hide your click-to-chat links. 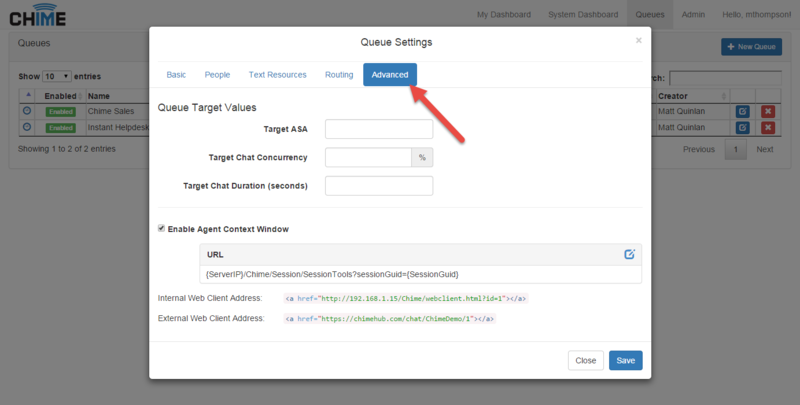 Want to modify the appearance of your web client? If you would like to modify the appearance of your web client such as customizing the form data, the use of your company's logo, or change the colors we will be happy to change it for you. Please contact us via email to support@instant-tech.com with any questions or concerns about how we might change the look of the web client to better suit your company's preference. For example if you would like to use your company's logo or change the colors, please send us a URL to your company's logo and any hex color codes you wish for us to use to and we can modify those settings for you.